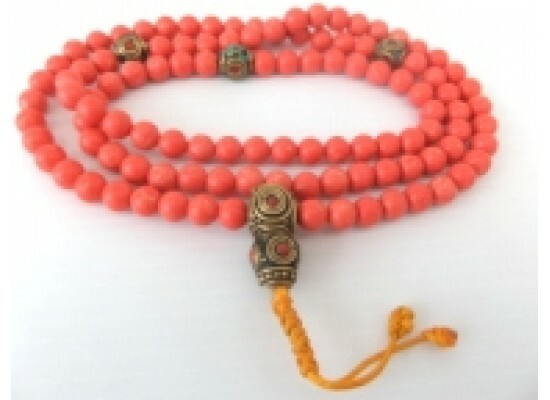 This is a large pink coral effect mala with decorative brass counters and guru bead. 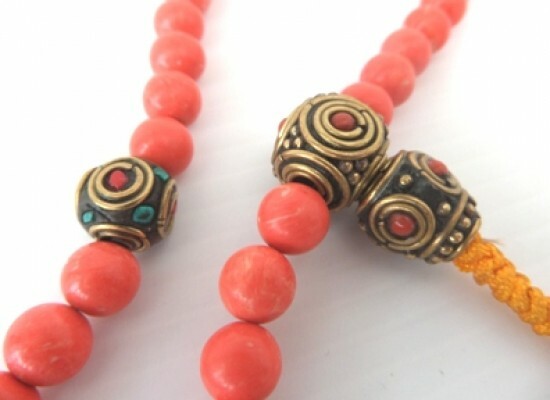 8 mm beads. 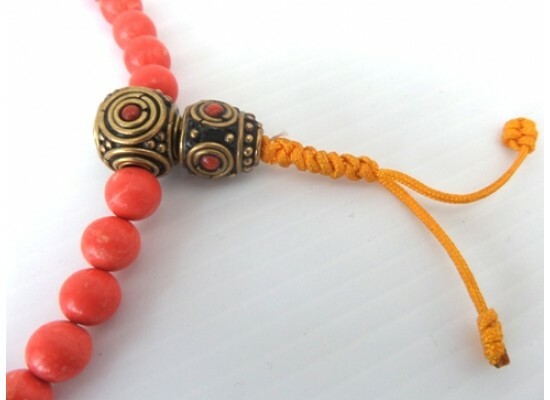 This mala comes with a lined drawstring mala bag.